A silver cigarette case started Ken Johns on an amazing research trail, which eventually led him to tunnels dug beneath German trenches during World War 1. The inscribed case had belonged to Ken's grandfather, who was amongst the Cornish Miners enrolled into the 251st Tunnelling Company to dig the tunnels. 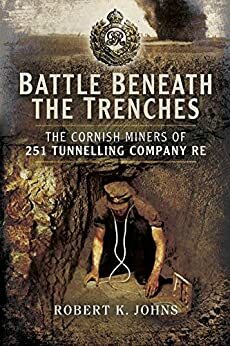 Ken will share his research trail and his Grandfather's story ‘Battle beneath the Trenches’ at the meeting of Lostwithiel Old Cornwall Society on Tuesday April 23rd, 7.30pm in the Church Hall.